I love using a 1-to-10 scale. It’s a fast way to get a read on just about anything, and exercise is no exception. During appointments with clients, I use a 1-to-10 scale to check effort and intensity throughout all parts of the workout. 1-2: Very easy; don’t really feel it. 3-4: Feels good; I could do this for a while. 5-6: Feeling it start to burn. 7-8: It is burning at an increasing rate. 9-10: It is very intense, with a deep burn; I’m not sure how much more I can do. Let’s say I’m having you do tricep presses. During the exercise, you rate the effort you’re giving or how much the exercise is burning your arms. If you give it a 5, I will tell you to keep going until you feel the burn at a 9.5 or 10. So keep going until you reach this level. That’s how you’ll get results. If you are really feeling the stretch because your muscle is tight, that is a 10. If you are not feeling it at all, it’s a 1. Your goal is to get down to a 1, which means you are very limber and have zero tension in the area being stretched. On that note, all stretches should feel good; you never want to force a stretch. Always relax into it. Sometimes a particular stretch won’t change numbers or improve in one session. Don’t get frustrated! Each week you will get more and more limber. Flexibility takes time. Just keep melting and breathing into the right area. Whenever you do a one-sided stretch, such as stretching each hamstring, rate each side separately (remember—10 being super tight and tense, and 1 being extremely limber, loose and flexible). Often you will get different numbers. If the sides are imbalanced—let’s say the first side is a six and the other side is a 9—this indicates muscle imbalance. The goal is to get both sides even. You’d begin by shooting for a 5 on the first side and an 8 on the second side. Do both sides once, then concentrate on the tighter side, the 8, until it gradually loosens up. It won’t happen immediately, so don’t force it. If it doesn’t happen the first time, move on to the next exercise and then come back to repeat this stretch. By the end of every workout, you should feel balanced. If you notice that muscle tensing up later in the day, pause and do an appropriate stretch. By focusing on the tighter areas of your body, you will gradually correct imbalances, reduce pain and increase energy. 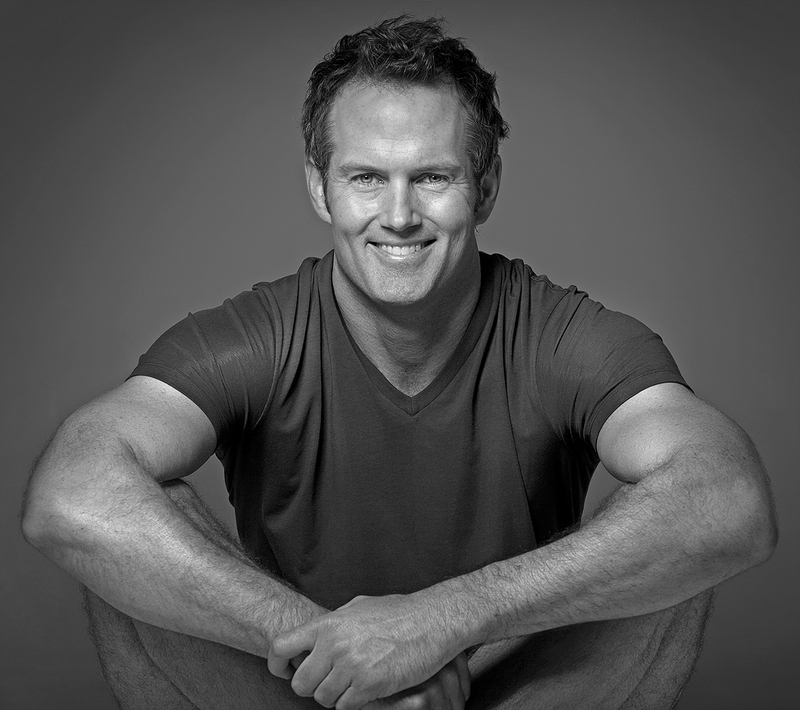 Click here to buy Joel Harper’s book, Mind Your Body: 4 Weeks to a Leaner, Healthier Life. 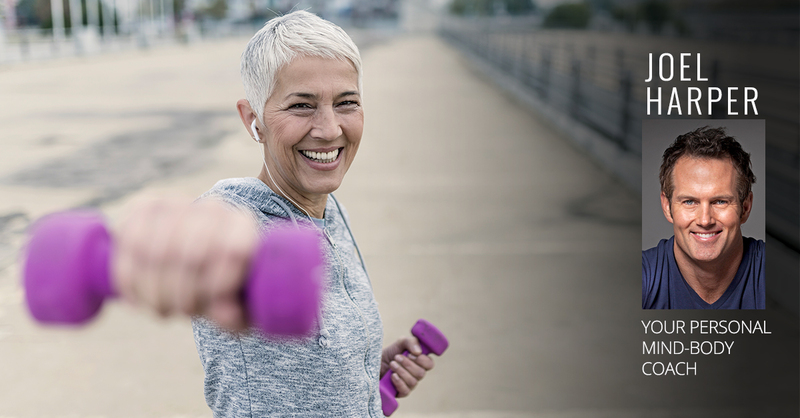 Your mindset is the crucial factor when it comes to slimming down, toning up, and boosting overall well-being. Personal trainer to the stars Joel Harper offers the motivation and guidance you need to achieve your fitness goals, and live life the way you want it to be in this blog. Joel’s blog posts are adapted with permission from his book Mind Your Body. Writing Helps You Get Healthy—and Reach Your Other Goals, Too!